Come join us for lunch, fellowship, and do-good! Every week at our lunch meetings, we plan our upcoming projects and fundraisers. Corporate memberships are available, which include marketing exposure. Kiwanis is a global organization made up of local volunteers, dedicated to improving the world, one child and one community at a time. 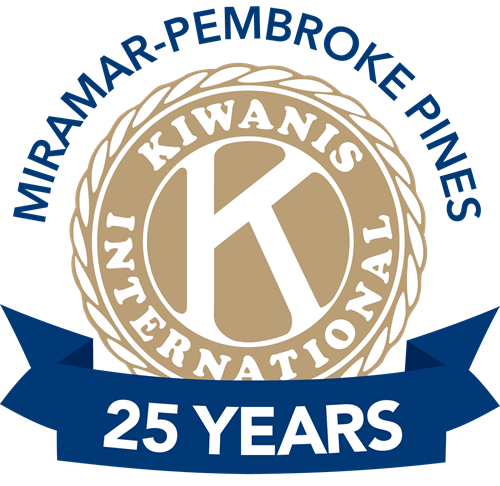 Since 1991, the Kiwanis Club of Miramar-Pembroke Pines has been a group of friends, neighbors, and businessowners that come together to do community service projects to address any needs they find in the community. Each new Kiwanian can impact 206 more children in the community. Join us and help expand our impact!